We have seen a lot of individuals use 3D printing in the creation of costumes and props. Whether it is a Halloween costume or a more elaborate ‘cosplay’ type design, 3D printing provides a method of complete customization. However, while 3D printing is very successful in creating costumes, if a designer wishes to add a more interactive aspect, it will require a bit more technology than what is provided via 3D printing. For example, what if you want an Iron Man Arc Reactor? For one Dutch student, named Timo Maluche, this is exactly the idea that popped into his head one evening. So, Maluche set out to create a 3D printed Arc Reactor. To better prepare himself for designing it, he went out and purchased a DVD copy of Iron Man 2, and watched the particular scene mentioned above, over and over again. He even went so far as to watch it frame by frame so that he could see all of the details of the device. At the same time, he was also sure to compare the size of the Arc Reactor to the hands of Pepper Potts, so that he could get an idea of approximately how large it really was. Maluche then used Autodesk Inventor 2014 to design all of the 3D parts, before printing them out on his CartesioM 3D printer. This wasn’t enough for Maluche, however. He wanted to make it look as realistic as possible, and this meant adding some sort of light source to his newly 3D printed prop. Maluche also used glow-in-the-dark filament for the white sections of the reactor so that when dark out, it keeps its glow. All in all, it took a full week to design, 3D print, solder, and assemble. Not bad for someone who had just recently got his first 3D printer. Maluche is currently a student in the Netherlands, where he is studying precision engineering. He is in his 3rd year of studies, and became interested in 3D printing when he took part in an internship at Mauk.cc. 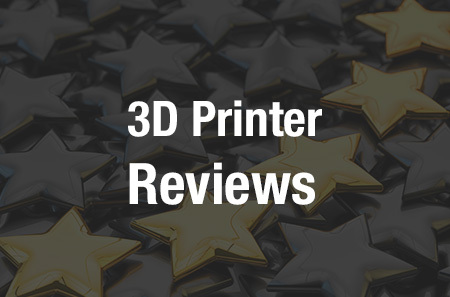 ” I got my first printer there and since then I got addicted to 3D printing,” he explained. Maluche’s Arc Reator is currently being used as a night light on his bedside table. He hopes to release the files for free download in the near future, once he has had time to clean them up a little bit. What do you think about this 3D printed Iron Man Arc Reactor? Discuss in the 3D Printed Arc Reator forum thread on 3DPB.com.